The third and last of the sketches @LittleMissFortunes drew for me. Tosh, like most kids(and children, YES, Goat joke! 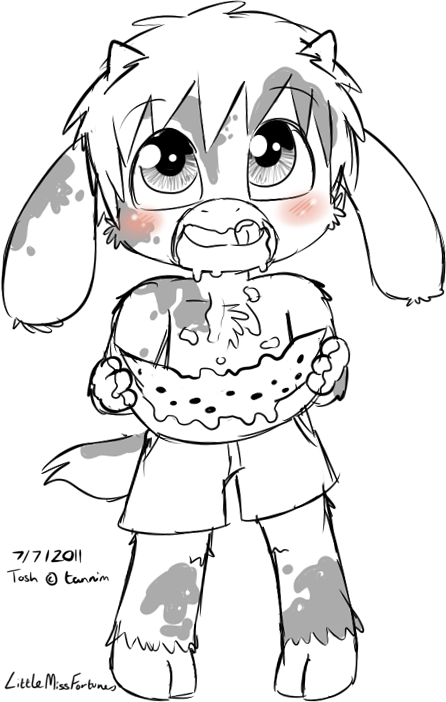 ), is very messy when eating watermelon. He'll need some cleaning up later, but I don't think that'll be too much of a problem, at least if Esme uses the hose. Especially in this style : ) Happy little guy there, be sure to read the story too.